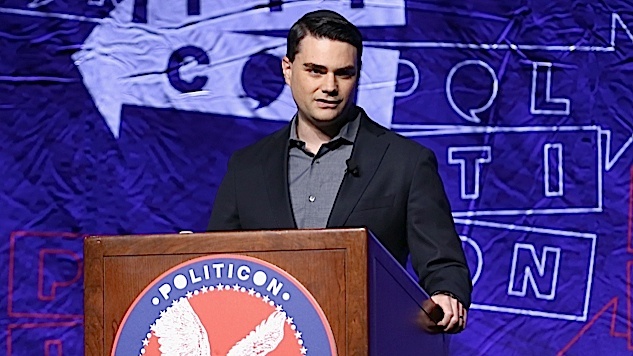 What we're seeing here is conservative commentator and smirky “facts don't care about your feelings” truth-defender Ben Shapiro mustering his rage about the new Karl Rove movie to drop a bomb on the political world. Turns out, many liberals who don't like Trump—get ready for the shock of your life, folks—also didn't like George W. Bush. If I'm reading Ben correctly, it's almost as though people who oppose conservative policies generally oppose the leaders who espouse them. How dare they. There are not enough pearls in the world for the clutching I could do right now. Here's the reality; the same Left that despises President Trump despised George W. Bush long before him. For the most part, the talk about Trump disgracing the office, the talk about Trump's toxic personality, the talk about Trump's divisiveness — all of it is just a cover for the fact that those on the cultural left despise those who aren't on the political left. They see them as idiots and rubes (W.), or as evil manipulators (Cheney). For them, Trump isn't an outlier — he's merely the latest iteration of the dastardly conservative movement that launched with Nixon, extended through Reagan, grew to Bush, and now culminates in Trump. At least McKay is honest enough to admit that simple fact. Trump, for the Left, isn't a departure from conservatism. He's just another variation on a theme. Yes, yes, and yes. I mean, I wouldn't use the word “dastardly,” because it's silly and infantilizing, and his cultural/political distinction is nonsense, but otherwise, sure, this is all true. But why does Shapiro act like this is a surprise, or strange in any way? If you despise Trump, you should despise George W. Bush. The only people who don't are the soft #resistance liberals who don't actually care about politics and desperately want to go back to a time when they didn't have to think about anything but brunch. "Before they hated Bush, leftists hated a war criminal mass murderer too"
Oh no! Democrats couldn't stand a President who left office with a 25% approval rating, war based on lies, a campaign that repeatedly winked at the bigoted right-wing over gay marriage and saddled the country with the Great Recession! The horror!